The Bisexual Index | Spot the Bisexual! 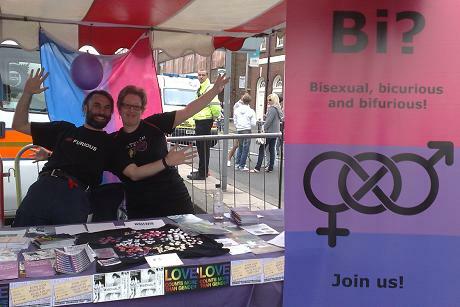 Bisexuals are everywhere, so we're trying to get our message out as far and wide as we can! 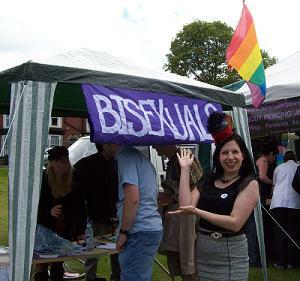 Raising bisexual visibility isn't something we can do alone - we simply don't have enough volunteers! You can help raise it - and not just by downloading some of our leaflets, linking to our website or buying our t-shirts. 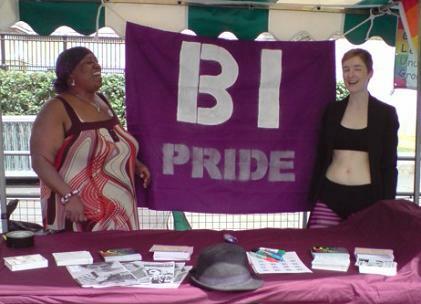 The best way to improve bisexual visibility is simply to come out as bisexual. See our article here: Coming Out for suggestions advice and some links.